According to a study published in Cutaneous and Ocular Toxicology, most skin cancers occur among older generations of people. While less was known about this disease and how to protect against it when this group was in its youth, seniors can take advantage of the current knowledge surrounding the condition. To decrease the chance of skin cancer, older adults should wear the appropriate coverage when they're out in the sun – no matter the duration of exposure. The Skin Cancer Foundation recommended long pants, a long-sleeved shirt, a wide-brimmed hat, UV-filtering sunglasses and sunscreen. "Seniors should use sunscreen liberally." It's good practice to use sunscreen liberally, but the lotion won't last all day. Seniors should not only choose sunblock in a high SPF, but also reapply it on a frequent basis. Most sunscreens will have a label detailing how long they will last as well as its resistance to elements other than sun, including water and wind. Ensuring their skin is always covered by the appropriate clothing or skin protectant can help lengthen seniors' lives. Although seniors may look forward to the warmth the sun provides, direct rays – especially for elongated periods of time – can have serious consequences. Instead, family members should ensure there is shade available on sunny days, according to the Centers for Disease Control and Prevention. Whether it's the natural coverage of trees or the artificial shield created by an umbrella, this protection allows loved ones to stay outside for longer without experiencing too much vulnerability with the sun. There are certain health screenings that are imperative for seniors. One of the most important is regular skin checks, performed by self assessment or by a medical professional. For aging loved ones, these evaluations are best done before or after bathing and should be completed on a monthly basis, according to The American Cancer Society. 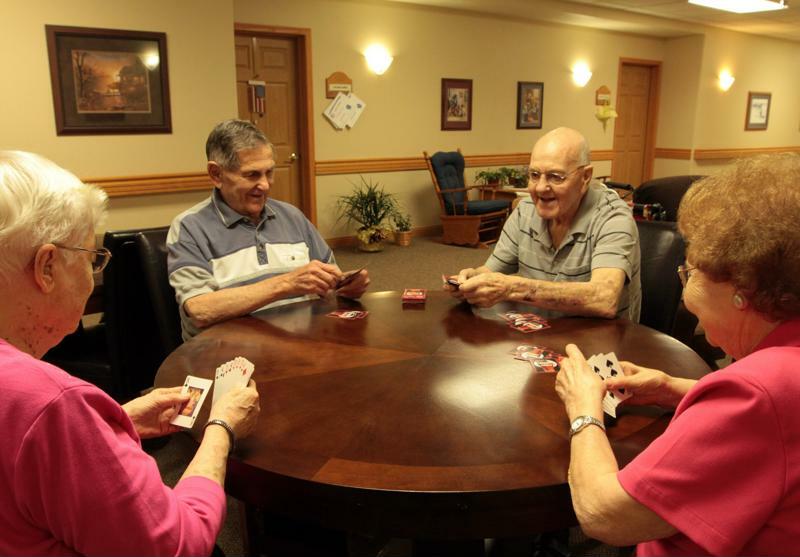 Staying inside gives seniors an opportunity to socialize. Some situations call for seniors to be outside for a good period of time. Whether it's a family picnic or birthday party, loved ones need to know their limits when it comes to sun exposure. Yet, there are multiple factors that play into remaining protected from the dangers of UV rays. One such element is hydration. Drinking enough water can elongate the amount of time seniors can stay outside and help them feel better once they head back indoors. For every day that's sunny and the perfect temperature, there are others when the sun is too hot. On these occasions, it's better for seniors to stay inside. Enjoy the air conditioning, play some games and spend time with your loved ones. A small respite means the next time everyone is out will really be gratifying. It's important for seniors to protect themselves from sun exposure. By following the aforementioned steps, family members can ensure their loved ones enjoy the sunlight while still being safe.